Leaders are generally perceived to be charismatic extroverts, able to walk into a room and capture a crowd’s attention . Personable and outgoing, these individuals appear in many ways the antithesis of the quiet introvert. Approximately one-third to one-half of the population exhibits a preference for introversion, yet introverts are underrepresented in leadership roles . Introverts also contend with strong cultural bias against their promotion to leadership positions. A 2006 survey revealed that 65% of senior corporate executives viewed introversion as a barrier to leadership, and only 6% believed that introverts make more effective leaders . 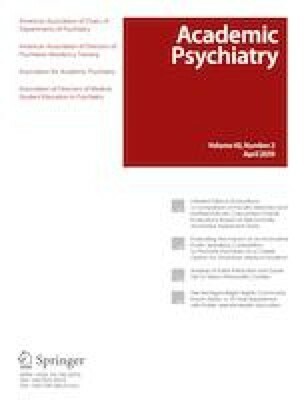 The authors previously presented this material as a workshop entitled “Continuing the Quiet Revolution: Developing as an Introverted Leader” at the Association for Academic Psychiatry 2017 Annual Meeting in Denver, CO on September 9, 2017. On behalf of all authors, the corresponding author states that there is no conflict of interest to disclose. Jones D. Not all successful CEOs are extroverts. USA Today. 2006, June 7. Retrieved from www.usatoday.com/money/companies/management/2006%2D%2D06-06-shy-ceo-usat_x.htm. Accessed 25 Nov 2018.